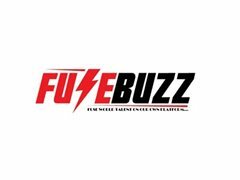 Well to start with lemme start with our introduction, Established in the year 2007, "
Fusebuzz Crew" is one of the fastest emerging organisation offering a host services right from conceptualization to organizing and executing a wide range of stage performances. Be it Fair Organizers, Entertainment Events, Wedding Events, Commercial Events, Road Show, Parties, Musical Concerts and Fashion Shows. We take care of all the event requirements and create a one-of-a-kind experience in the mind of people. We have successfully performed in various corporate, cultural and personal events across various parts of the India. 1. Performance for reputed Corporate / Wedding / Public & Private events. 2. Should be ready to perform 5 sequences (average 4-5 mins each). 3. We respect artists & ready to work in your comfort zone, we are open to discuss your inputs. 4. You will have to perform either in group or solo, depending on clients requirement. 6. Your safety & security is companies responsibility. 3. Apartment near to mall & movie complexes. 4. 24 hours WiFi available at apartment. 8. Kitchen fitted with water purifiers. I hope I have cleared most of your questions & in any case for further queries, I am always available to answer your questions. Note:- Once you are short listed, please share scanned copy of your passport, so that we can send you the contract for visa process. Paid : $1000 - $1200 per month.